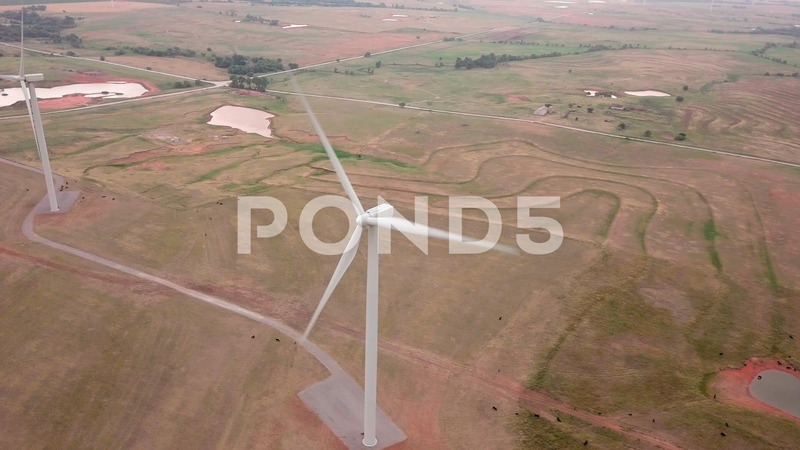 Aerial Cinematic View Of Wind Farm In Oklahoma, Usa. Slow Fly Past. Description: Aerial cinematic view of wind farm in Oklahoma, USA. Slow fly past.